This tutorial covers the topics on creating an example of simple addition calculator on GUI by using PyQt5 package in Python. First of all you will learn how to setup PyQt5 package by using PyCharm Community Edition 2017.3.4 x64. Then, you will learn init() constructor and initUI() method. Then you will learn QLineEdit, QPushButton, QVBoxLayout, addWidget, setWindowTitle, setLayout, clicked.connect, sender, setText, QApplication methods which are belongs to PyQt5 package and QtWidgets subpackage. Then you will learn how to use clear method. Then you will learn why we need to use sys.exit(app.exec_()) command. 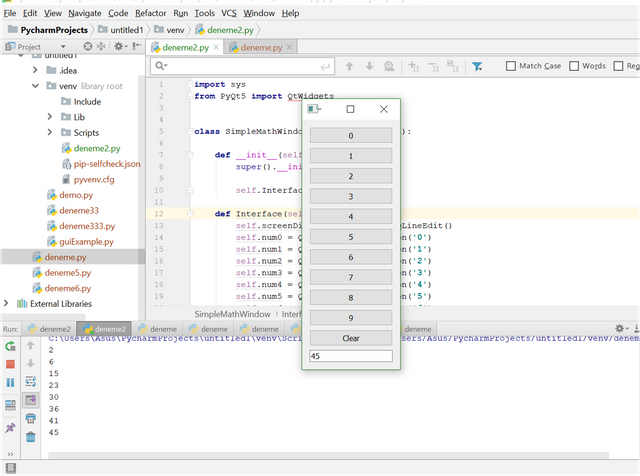 Then you will learn how to create a simple addition calculator by using upside methods on GUI by using PyQt5. PyQt5 package (also for this package you need to upgrade your pip version to 9.0.3. We could not apply PyQt5 package for below pip version from 9.0.3). 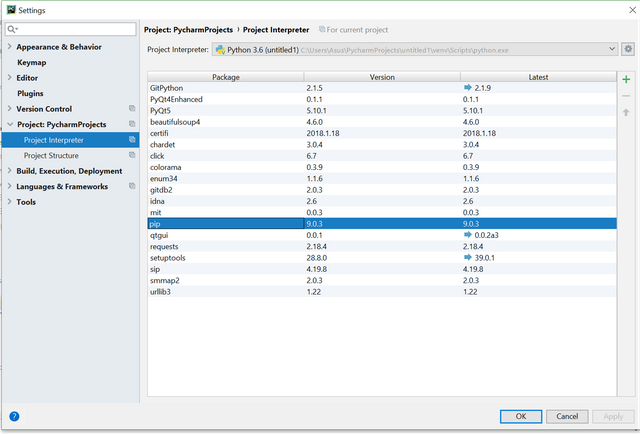 In this tutorial, we will work on PyQt5 package to create a GUI and create a simple Addition Calculator to show how the PyQt5 package works. 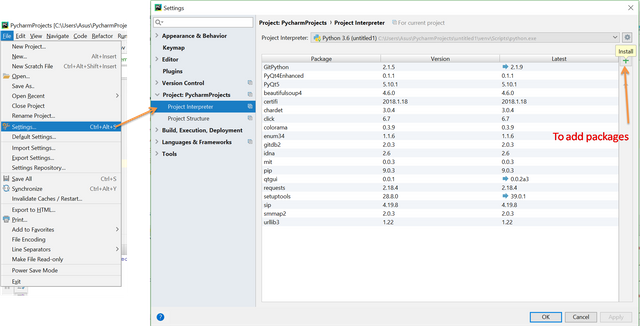 Firstly, to work on PyQt5 package we need to install the package. 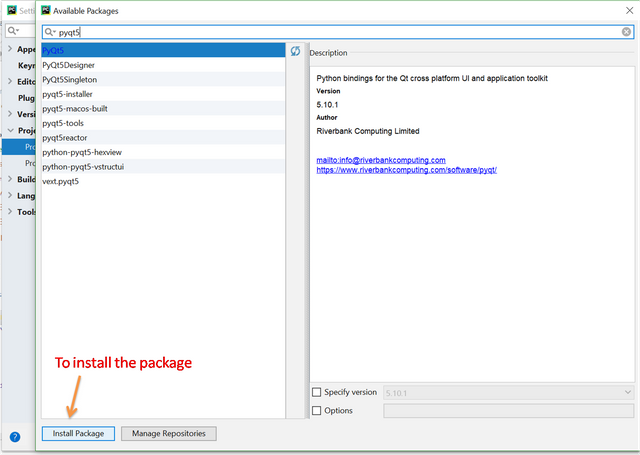 To install the package we will use PyCharm Community Edition 2017.3.4 x64 and also you can find the installment of the packages in detailed in our previous tutorials. The QtWidgets module contains classes that provide a set of UI elements to create classic desktop-style user interfaces . After importing the packages we will create a class. Our class name is SimpleMathWindow and it inherits from QtWidgets.QWidget. QWidget has many member functions, but some of them have little direct functionality; for example, QWidget has a font property, but never uses this itself. There are many subclasses which provide real functionality, such as QLabel, QPushButton, QListWidget, and QTabWidget . The reason we use super() is so that child classes that may be using cooperative multiple inheritance will call the correct next parent class function in the Method Resolution Order (MRO). We created an user interface and called it Interface. We define a function to call self. and we used QLineEdit, QPushButton methods to create buttons and a line to transfer our data which is belongs to buttons. Each of them has a property of self. which is inherited from QtWidgets.QWidget. As you see, you can move your button anywhere by using move method and also you can define your screen size as well by using setGeomety method. To get an reaction (some variables to show or keep) from the buttons we used clicked.connect. Also we used button method which will be explained in the next part. That will be the transfering the data which belongs to button to a variable and it keeps data to calculation. Here is teh calculation part when user push a button. We used sender method to understand that which button is the pressed one. To understand that we just make a simple if statement and if this statment is true then that data is kept by a variable. Also to clear the whole data we used clear method which is belongs to Python itself. clear method is not a function for PyQt5 package. Here we used QApplication method which is related to initialization, finalization the system. Then we end up our class. In PyQt5 the exec_() method starts the event loops (here our new window) and up to close the loop it will continue. When you do not use this method the window will open and close immediately because the program needs a starting loop and the this loop will maintain until the user cancel the window. Here we push 2, 4, 9, 8, 7, 6, 5, 4 and each time it calculates the addition. Up to this point we will create a simple calculatur in the next article. If there is anything misunderstood or unexplained part you can contact us. Hey @rdvn, I just gave you a tip for your hard work on moderation. Upvote this comment to support the utopian moderators and increase your future rewards!